Registration for the 2019 North Shore Pride Festival is now open! To mail in your vendor registration the .pdf application form can be downloaded here. Otherwise, please fill out the online vendor registration below. We hope you will join us for what will be a memorable celebration of North Shore Pride Parade and Festival on June 22, 2019, so please SAVE THE DATE! Register your business or organization to be a vendor at the Festival below! If you have questions, contact us at [email protected]. Or, you could always download a form to apply by mail and pay by check. North Shore Pride’s insurance company now requires that all 2019 Vendors have Exhibitors General Liability Insurance and that North Shore Pride is named as an Additional Insured on their Certificate of insurance. If you are a vendor and DO have Exhibitors General Liability Insurance you must provide a Certificate of Insurance with North Shore Pride named as an Additional Insurer. 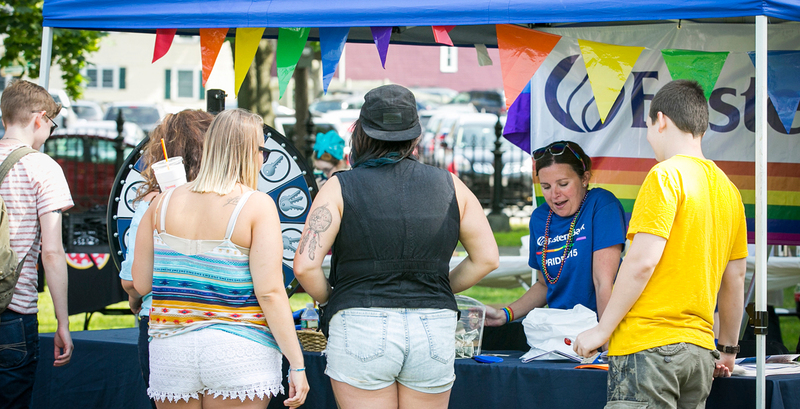 If you are a Vendor and DO NOT have Exhibitors General Liability Insurance, North Shore Pride’s Insurance Vendor, Casswood Insurance, is offering a One Day Exhibitor’s General Liability Insurance coverage for the North Shore Pride Festival at a cost of $65. If you are interested in purchasing this One Day Insurance coverage please click on this link: https://www.totaleventinsurance.com/app/Customer/ExhibitorAnnual.aspx?eid=o9jF66Sbdsk$. As a result of this requirement for Exhibitors General Liability Insurance, North Shore Pride has reduced our 2019 pricing for Vendor Registration. We hope that you will join us for our 2019 Festival, as we expect a larger attendance than the 10,000 people in attendance last year.